Copyright © 2018 Dottie Bond | All rights reserved. Photography, illustrations and stories by Dottie Bond. 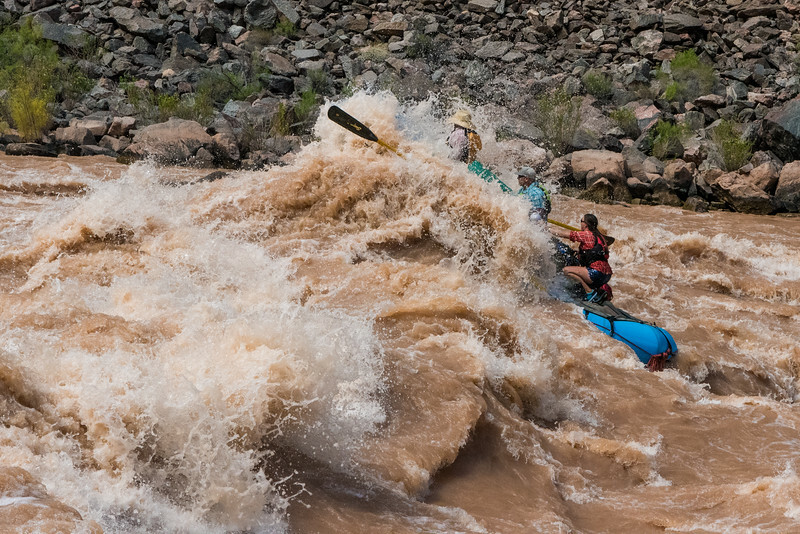 In Colorado River parlance we call this "getting wet"—gutting Hermit Rapid at river mile 95 in the Grand Canyon.